I admit it: I've been wasting time lately reading some pretty low-brow stuff, such as Dorothy Gilman's "Kaleidoscope," Agatha Christie's "Murder After Hours," and Tony Hillerman's "The Fly on the Wall." I admit, too, that I enjoyed all of them. Who doesn't enjoy a mystery story? In fact, I firmly believe that all the novels and stories we read are essentially "mystery stories," even if they're not called mysteries. We read what we read in order to discover something we didn't understand before we read that. We want to know why people do the things they do. We want to know our own selves better. We want to know more about those people who can solve mysteries, how they do it, and why they think it's important to look more closely than the people around them do. In Agatha Christie's Hercule Poirot stories, we also want to know why his English friends tend to look down on him even as they depend upon him to solve the mystery. 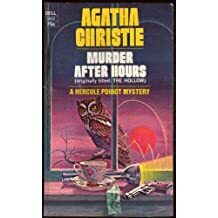 In "Murder After Hours," all clues point to the unhappy wife as the murderer of the cruel and heartless husband, and apparently everyone else but M. Poirot knows she committed the crime, but they won't reveal the fact to him, so he has to figure it out on his own. And, of course, here's why we read Agatha Christie: because she draws it out so expertly, tossing clues at us, as well as to M. Poirot, so that we're focusing so much on her throwing technique that we miss the easy catch. 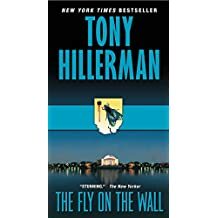 I think I've read all of Tony Hillerman's mysteries set in Navajo country, but "The Fly on the Wall" is the first of his novels I've read that doesn't involve tribal lands and cultures. This one involves politics and newspaper culture, and even though it was first published in 1971---good grief!---it's a story that could happen this week or next year. Why would a good-guy politician be willing to murder, and another one to cover up the murder, and then go on to murder a reporter? Oh, sure, we all know the answers to those questions. But Hillerman teases out the story so brilliantly that we seem to be discovering the answers for ourselves, for the very first time. Now, on to Dorothy Gilman, the author of the famous Mrs. Pollifax mysteries. I've read one of those, and, unimpressed, haven't bothered to pick up any of the others from the Camas Library's shelves. Another of Gilman's characters, Madame Karitska, new to me, is fascinating; but I'm not going to get the other book featuring this psychic wonder. 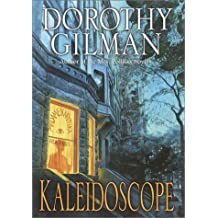 What I liked about "Kaleidoscope," though, what kept me reading to the end, was the kindness of Madame Karitska, not just her mystery-solving skills. Because, let's face it, the book world is full of people who can solve mysteries, but what we love is someone who does it with compassion. Why is human nature such a mystery to us? I wish I knew. Maybe it's not such a mystery, and sometimes reading these stories is just pure escape from improving our own nature. Now there's a thought! And that's why M. Poirot, John Cotton, and Mme. Karistky fascinate us.